In June 2016 Howes Primary School hosted a Japanese enrichment afternoon for primary and secondary schools in Coventry. 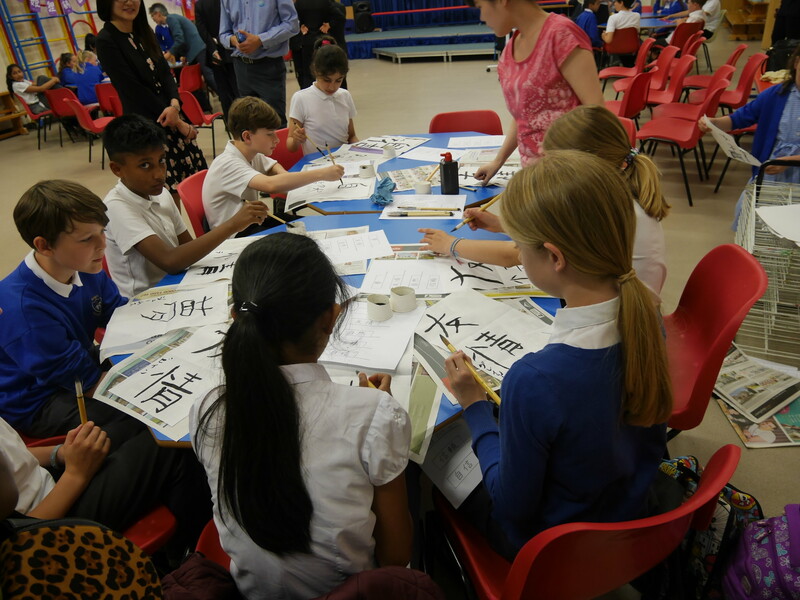 The Japanese Embassy, the Japan Foundation, Warwick University and Tile Hill Wood School worked with us to give children a taste of Japanese language and culture. Children learned greetings in Japanese; how to write their name in Japanese calligraphy; played Japanese games; had a go at origami; tasted Japanese food and they also were able to watch a karate demonstration. We have been very lucky at Howes as we have had full time Japanese teachers for the past three years. The teachers have come from Japan as part of an international exchange programme. In addition to offering Japanese lessons to all pupils, we have been able to run two Japanese clubs a week. Last year we won a national competition for our Japanese website, that was set up by one of our Japanese teachers and pupils. We also work closely with Mikanodai Elementary School, our partner school in Japan. Please use the link below to visit our Japanese website.